Most every person will face grief head-on at some point in their life. One of most emotional and heart wrenching events in the life of the church is the death of one of their beloved members. Unfortunately, most congregations are unprepared. Jesus gives this important responsibility for comfort to the church. To do this job skillfully, people need to learn about grief resulting from death. People who have taken the Journey in Grief Care course minister with confidence and compassion. 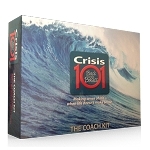 Your church can develop a Grief Ministry Team that can be well trained and effective. 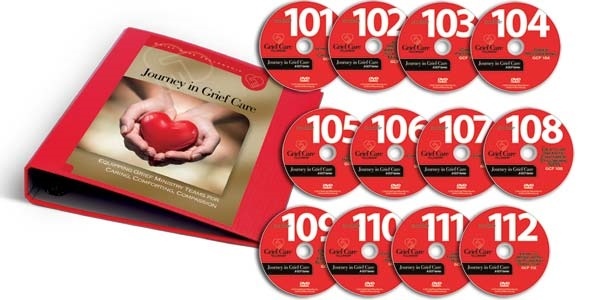 Journey In Grief Care is a 12 module DVD series which equips and prepares God’s people to skillfully help others suffering the hurt and devastation of the loss of a loved one. Each DVD features Bible-centered training, 3 lessons, students notes and personal testimony. The teaching is practical and proven. Churches across the country are already using this important curriculum to equip their people to come alongside those hurting from loss. Each kit includes: Journey in Grief Care 12 module DVD series, 1 Student Notebook, 1 “In Their Own Words” 3 DVD set with personal interviews & testimonies, 1Experiencing Grief by H. Norman Wright and 1 What to Say When You Don’t Know What to Say by H. Norman Wright All participants need student workbooks,Experiencing Grief and What to Say When You Don't Know What to Say. Additional materials can be ordered on this website.